Singapore has confirmed that it will replace its Lockheed Martin F-16s with the F-35, but will assess a “small number” before deciding on its long-term fleet. The country’s defence ministry announced the decision to acquire to acquire the F-35 in a brief statement on its website. This will see Singapore become the first F-35 operator in Southeast Asia, and the fourth in the Asia-Pacific after Australia, Japan, and South Korea. It will also become the first Southeast Asian air force equipped with a stealth aircraft. “The technical evaluation also concluded that the RSAF should first purchase a small number of F-35 JSFs for a full evaluation of their capabilities and suitability before deciding on a full fleet,” said the ministry’s statement. Neither the ministry nor Ng’s tweets stated how many F-35’s Singapore will obtain or in which variants. The tweet was accompanied by two images, apparently shot at different times, of Ng assessing the aircraft. In the first, he is having a discussion with an officer in front of a US Air Force F-35A with the registration 11-5039. The second image shows him peering into the cockpit of an F-35B, the short take-off and vertical landing version of the jet, with the outline of the door for the jet’s vertical lift fan visible behind the cockpit. Singapore has made no secret of its interest in the F-35, with senior officials expressing positive views about the programme in recent years. 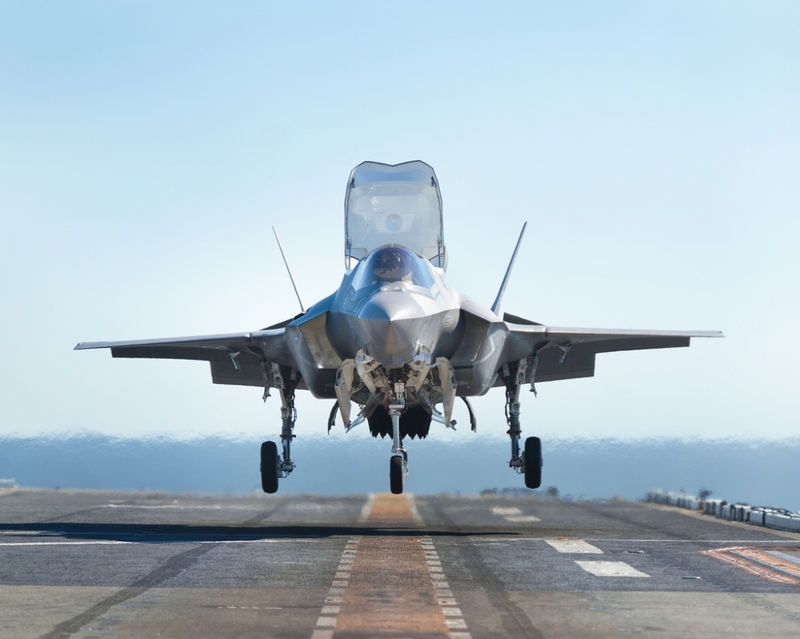 It is believed to have special interest in the F-35B given the highly urbanised nation’s scarcity of land, which makes basing challenging. For several years, Lockheed has displayed a mock-up of the F-35 at the Singapore air show in RSAF markings. Singapore is a security co-operation participant in the programme, giving it access to programme data and allowing it to request special studies. In an interview with Flight Daily News earlier this year, air force chief major-general Mervyn Tan stated that Singapore’s lack of strategic depth means that it needs to prioritise airpower. “After careful studies, we have concluded that the most cost-effective approach will be to upgrade the F-16s to extend its lifespan, while evaluating the F-35 as a potential candidate to strengthen our fighter force and maintain our combat edge into the future,” he said. Flight Fleets Analyzer shows that Singapore has 60 in service F-16 Block 52 C/D fighters, the average age of which is 17.8 years. These jets are in the process of being upgraded with active electronically scanned array (AESA) radars, new avionics, and upgraded cockpits. Singapore also operates 40 F-15SGs with an average age of 6.9 years.